Copyright © Ruff House Art. Images used with permission. 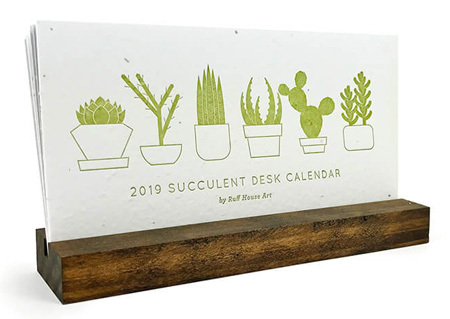 This is the must have desk calendar for lovers of letterpress, handmade paper, and eco friendly products. The quirky, fun hand drawn illustrations are beautifully pressed into this handmade light gray paper that is embedded with wildflower seeds. Yes, you can actually plant the paper and it will grow wildflowers - no kidding! 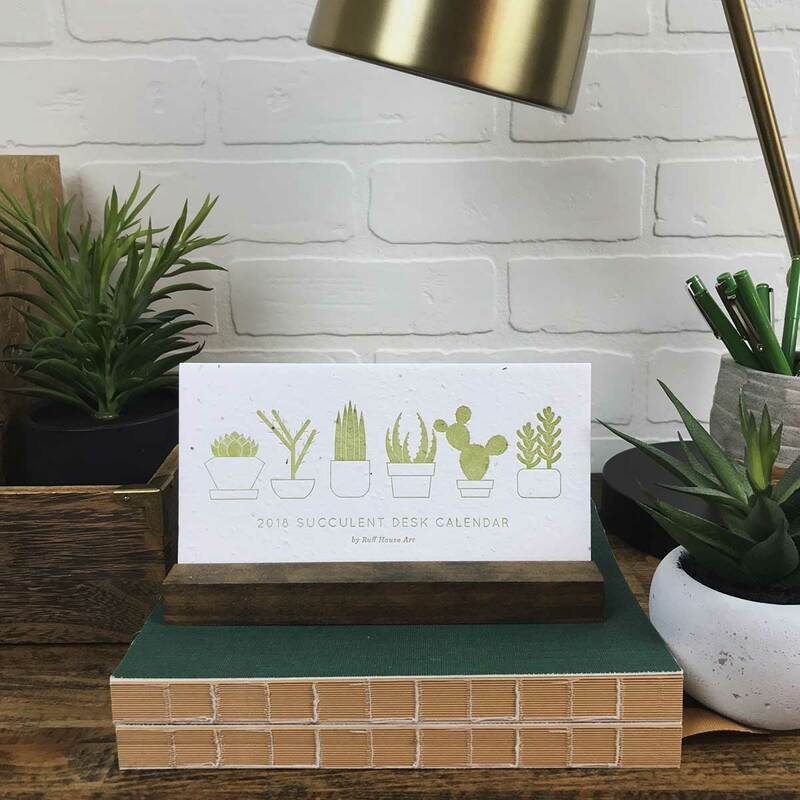 You will receive six cards with one month printed on each side. 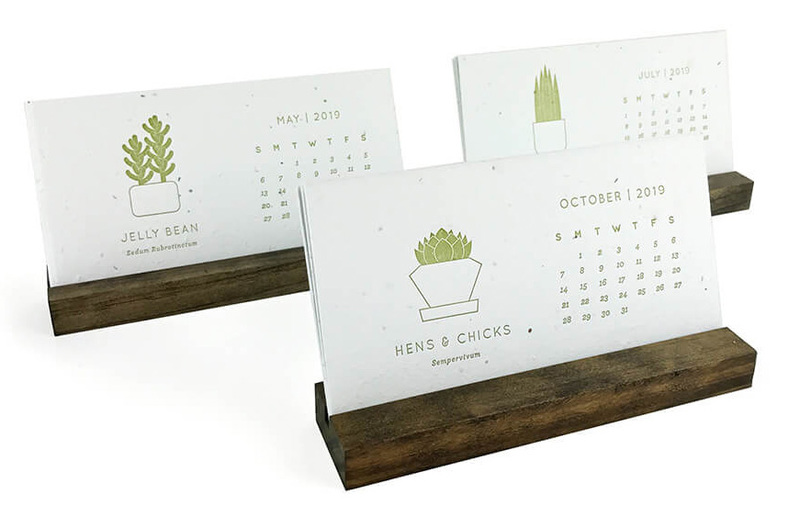 And to top it off, we have included a handmade, solid wood calendar stand so you can beautifully display this calendar. The 2019 calendar comes packaged in a letterpress kraft box making it ready for gift giving!